Stairways hold a certain kind of aesthetic appeal for me. Designed to connect one place – or floor – with another, presumably at the most convenient point structurally, they allow us to ascend and descend. Often many times each day. ‘No pain, no gain’ as the old saying goes. Working at NHSG in the old Central High building, my daily grind unfortunately required me to shunt backwards and forwards between a Head of Year Office situated at the top of three flights of stairs in the main building (above) and ‘a funny little house at the back of the building’, as Ruchelle Everton described Eslington Tower to the Church High English staff in January 2015. 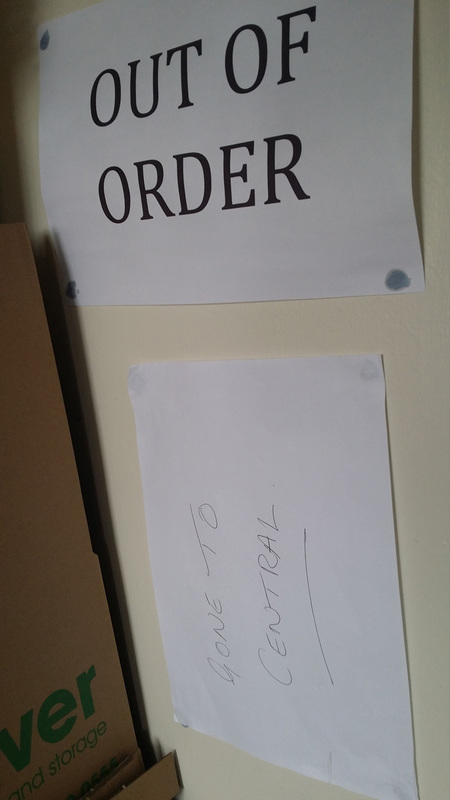 Back then, strange stories from ‘down at Central’ were relayed back to a variously curious, nervous and often dismayed staffroom: ‘You actually have to sign something if you need one pen??? ?’ As we that loved Church High well know, some places leave their mark on you. 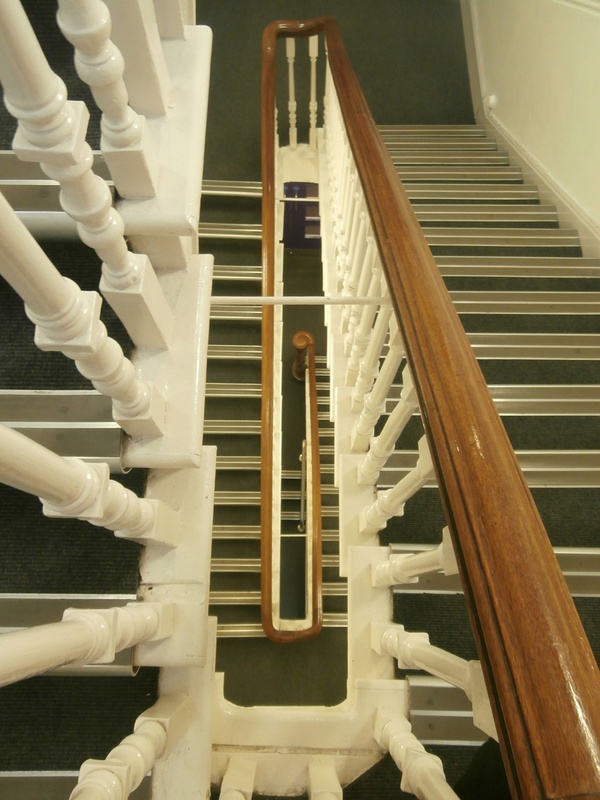 Central’s stairs – in addition to a regular two-week timetable of 13 teaching classrooms over four buildings in the first year – ‘did me in’ in the end. The radiologist who scanned my Baker’s Cysts at South Tyneside Hospital a year ago now (note cysts in the plural) said ‘the human body was never designed to go up stairs’. How very true. Being forced to traipse up and down stairs repeatedly – especially carrying heavy things – takes its toll on the body. Especially an unhappy body. My ex-Central colleagues commiserated: ‘There are stairs just for the sake of it in this place!’ Or tried to offer comfort: ‘At least there’ll be a lift in the new building.’ Yet according to the 1888 plans, the original Newcastle High School building – the first purpose-built school in Jesmond – was actually designed to include a lift. 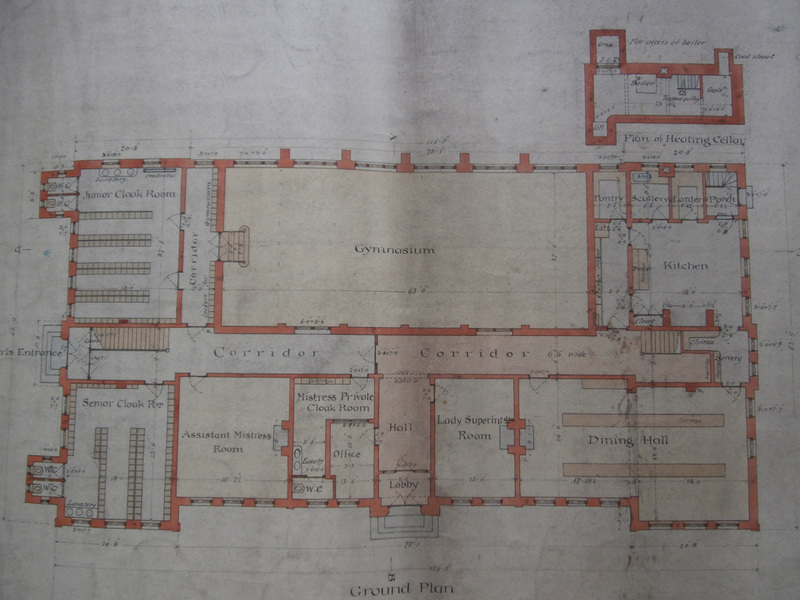 A lift is marked in two places on Oliver & Leeson’s 1888 architect’s plan for the Ground Floor of the original Newcastle High School building (CH Archive: Tyne & Wear Archives) . These were not lifts as we know them today, of course, as a decision was made not to install ‘the new’ electricity in the building initially. Their position also makes it clear they were not intended for people. The close-up below of the Newcastle High School domestic wing at the back of the building (the west end of the north gable on the ground floor) is fascinating. Not just to see the existence of a lift – which must have been some sort of Victorian manual system, I’d have thought, much like the 1930s Dumb Waiter installed in a similar situation between ‘upstairs and downstairs’ in the side extension – but also as an insight into NHS life ‘behind the scenes’ in 1889. The NHS domestic quarters – below and above stairs – as they appear on Oliver & Leeson’s 1888 GF plan drawing. 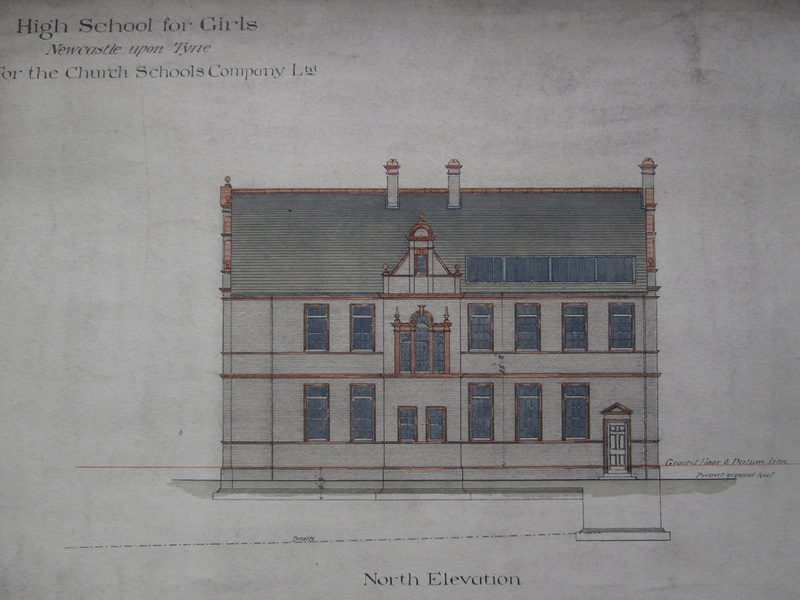 Oliver & Lesson’s 1888 drawing of Newcastle High’s north elevation (Church High Archive: Tyne & Wear Museums). The ground floor plan of the building shows that this side door opened onto to a porch area next to the Kitchen from which a set of stairs led down to the Heating Cellar below. 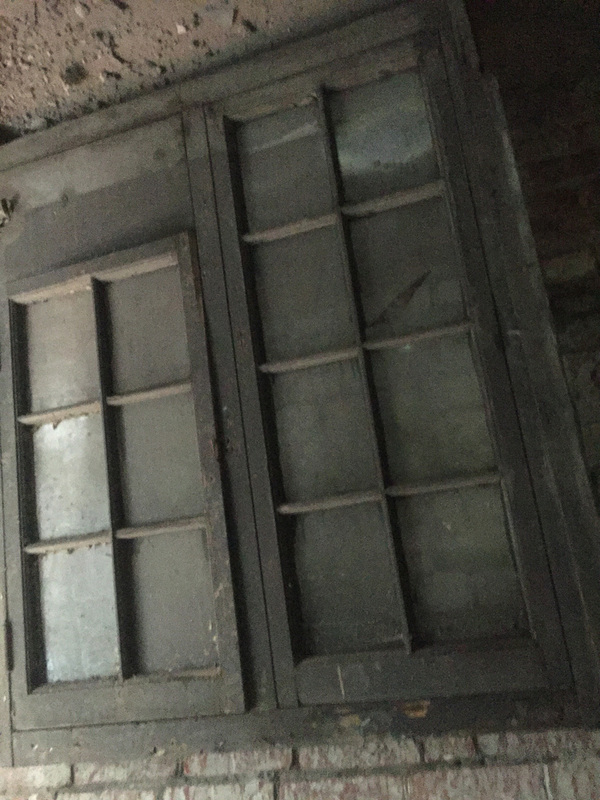 Directly beneath the porch in the cellar was where coal was stored, as we can see below. 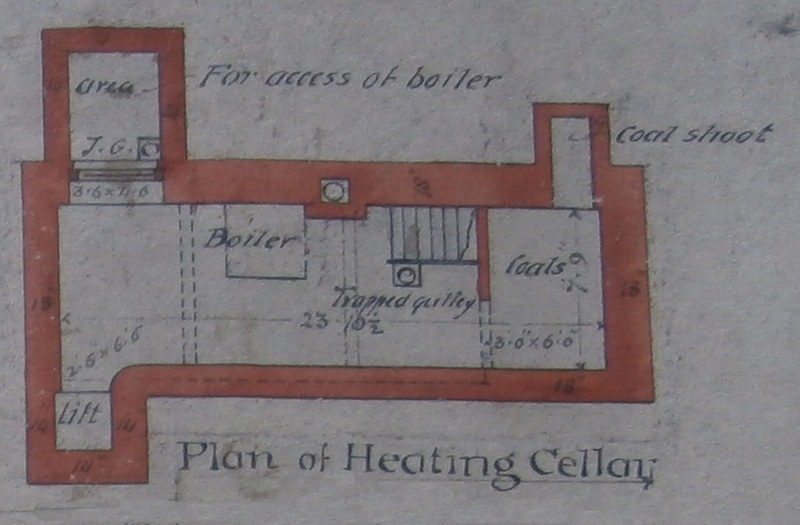 Heating Cellar detail from the Oliver & Leeson 1888 plans. Coal was delivered via a coal chute at the back. 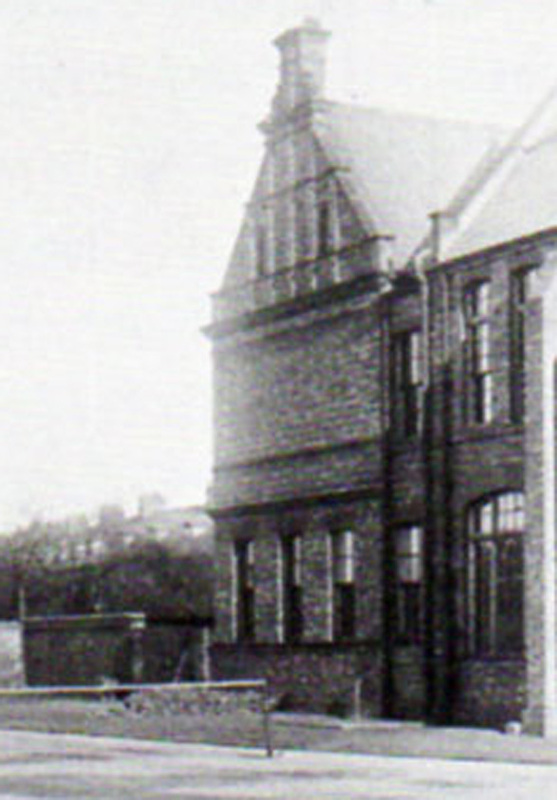 If you look closely, you can just about make it out in a close-up of the 1900 image of the back of Newcastle High’s original building from the Centenary Book. The coal chute cover can just be made out at the centre of the base of this 1900 photograph of the back end of Newcastle High School’s north gable (Centenary Book). It appears to resemble the example below. 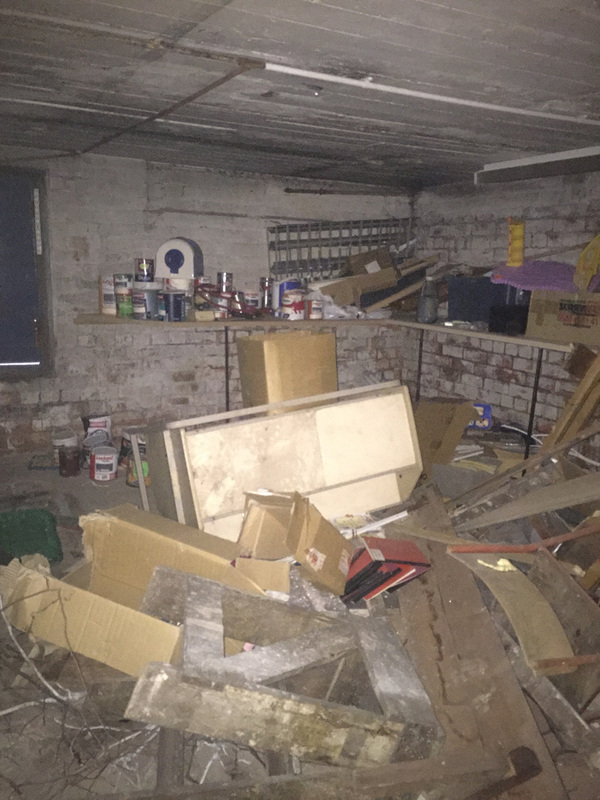 My interest in the cellar was triggered back in the Spring when one of the Wates guys mentioned demolishing concrete stairs at the back of the building. I couldn’t imagine where they were, although I knew there was a basement, of course. This was Gentian’s domain and it contained a sort of workshop used by the site management team. I knew there was an entrance to it from the back courtyard, but for a long time I confused it with the Boiler House. Even I used to keep forgetting that the existing north extension, with the Boiler House underneath it, was not originally there when NHS opened. 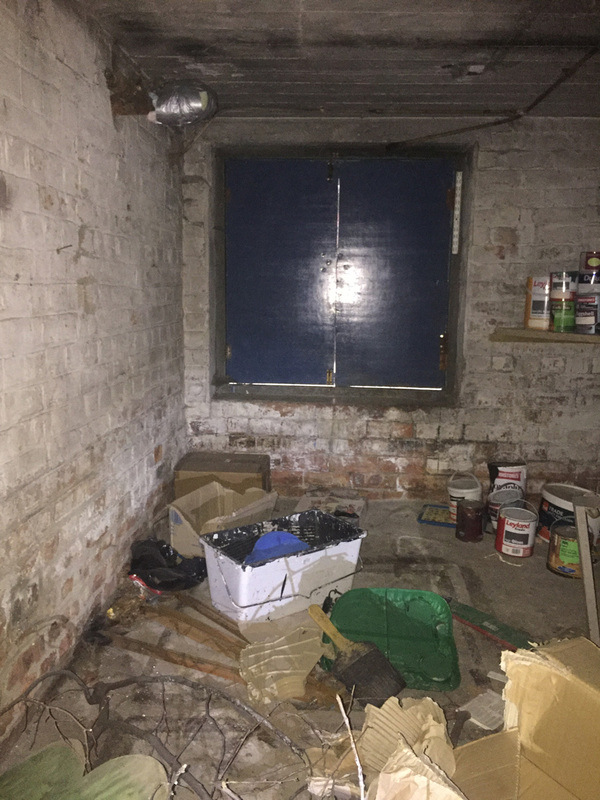 So I was absolutely delighted after downloading Giuseppe’s images of June 1st to discover they contained photographs of the basement. Giuseppe has said he detailed it as a project at this point in time, because if he hadn’t, it would have been left right until the end. You can see why below! It’s only very recently that I realised what it must have originally been used for and also its exact orientation. Even by June 1st 2016, almost two years after Church High School closed, the Basement Workshop remains virtually untouched. Being able to see the original 1888 flooring timbers still in situ was amazing, but it was the stone steps which most interested me. 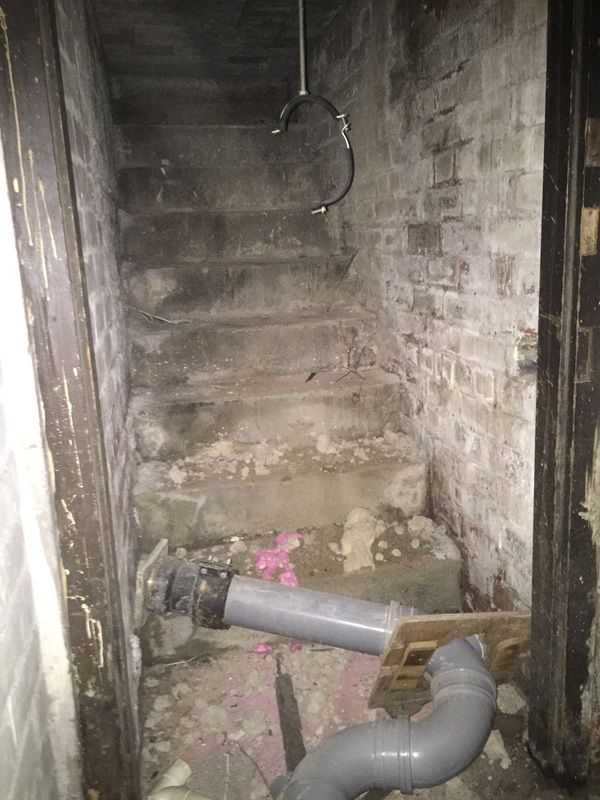 Were these the stairs the worker had referred to? And to where did they used to lead? I now know from the architect’s plans of the building they lead down to the Heating Cellar from the back porch. 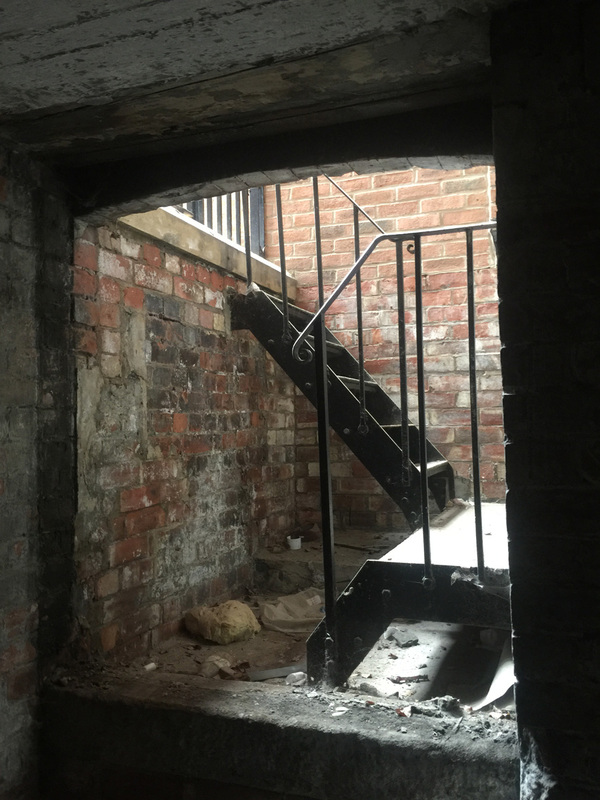 The stone stairway which allowed access to the Heating Cellar from the NHS back porch. 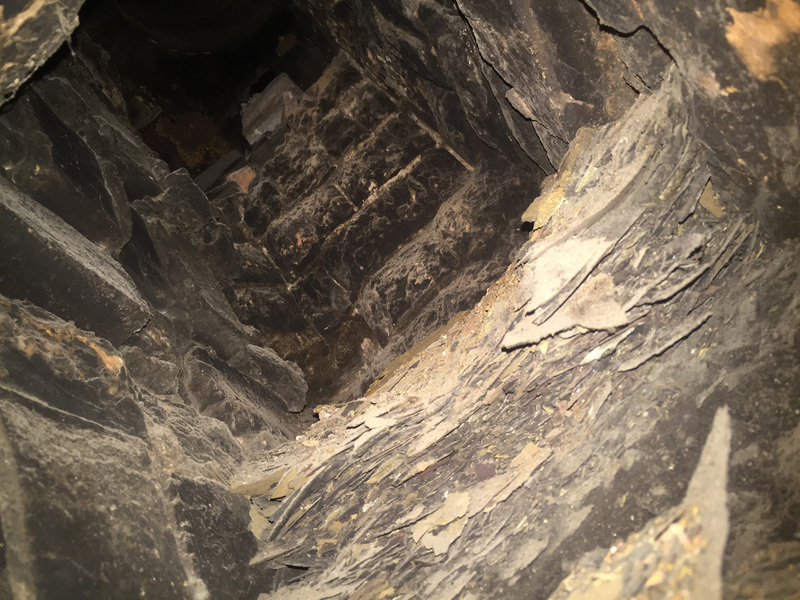 With not having been down there, I can’t be sure how Giuseppe’s photos of the old Heating Cellar connect up, but it looks to me that the doorpost to the right of the stairs leads onto the area below. 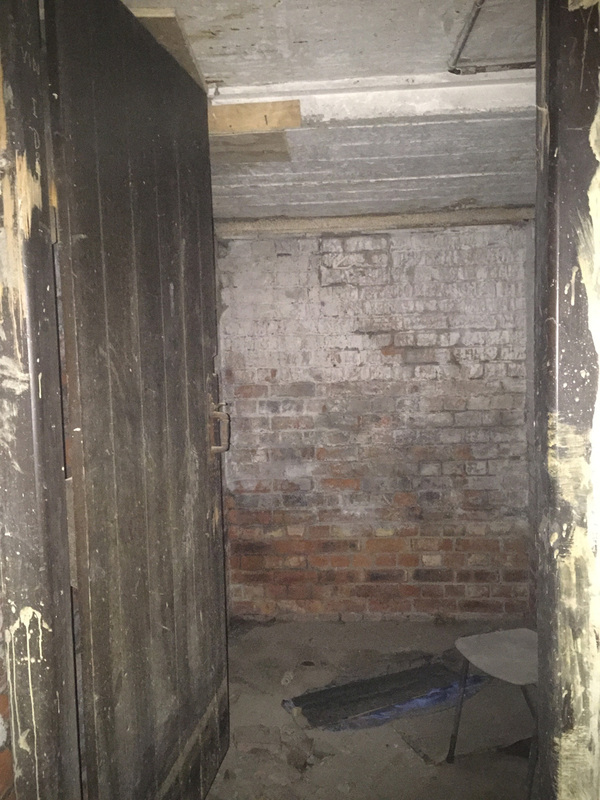 The entrance door to the old NHS Heating Cellar looking towards Tankerville Terrace. There is a fascinating old window down there which I assume is an attempt to let in some light between the small individual rooms. Possibly the area marked ‘For access of the Boiler’ on the plans. Originally, there was only one boiler down there, although I think I remember being told there are six being installed by Wates now. 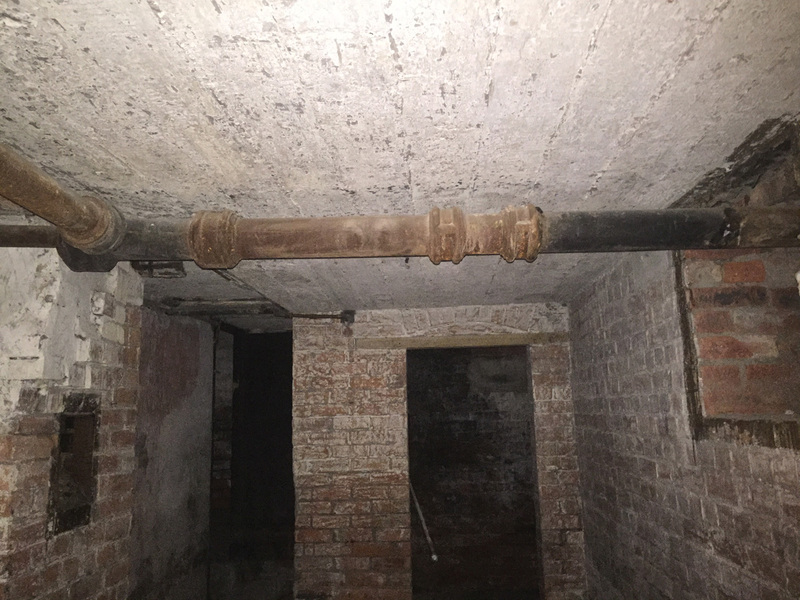 I think it’s likely that this image shows the original site of the boiler. 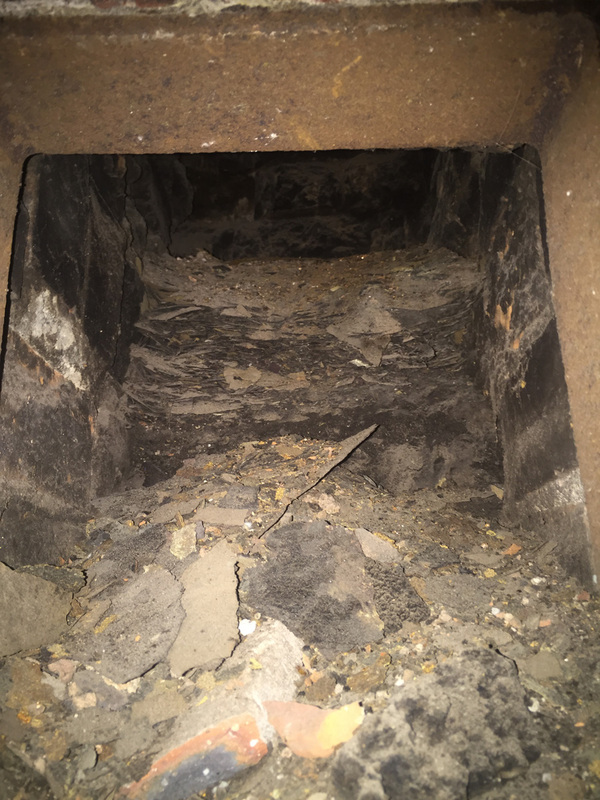 We know from the newspaper report on the building plans the intention was to warm the rooms by ‘open fireplaces with the addition of hot water pipes and coils …. each room with a separate system of pipes provided with a valve, so that the heating power will be entirely under the control of the teacher.’ Because of this, the boiler would have most likely been a steam-heating system fired by coal. 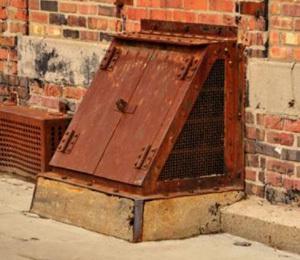 Which brings us back to the coal store with the external coal chute again. 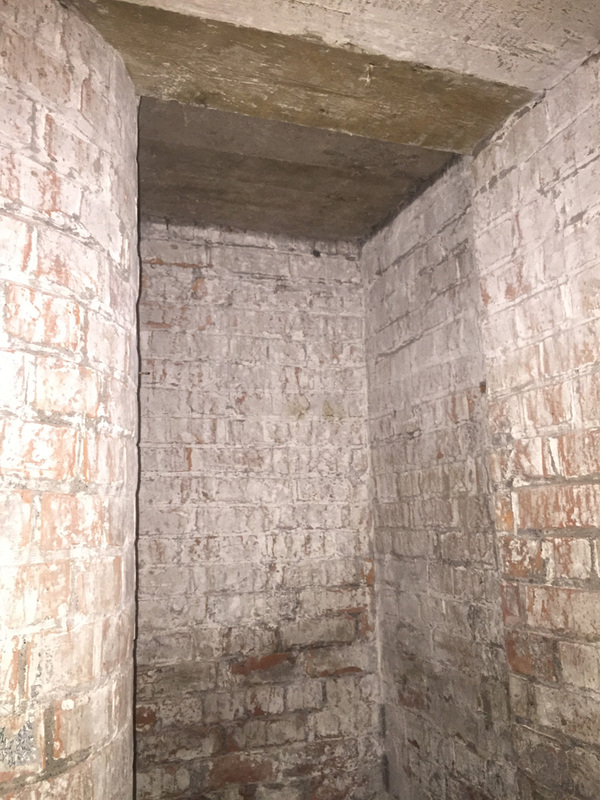 Could the hole in the wall to the left here be the coal chute? Whether it features in any of Giuseppe’s long shots or not, there is no doubt that the following two images are definitely the coal chute. The blackened sides leave me in no doubt this is indeed the original NHS coal chute. In contrast, owing to the curved brickwork edge on one side, the site of the Victorian lift was much easier to pin-point in Giuseppe’s shots. The south-west corner site of the Victorian lift. 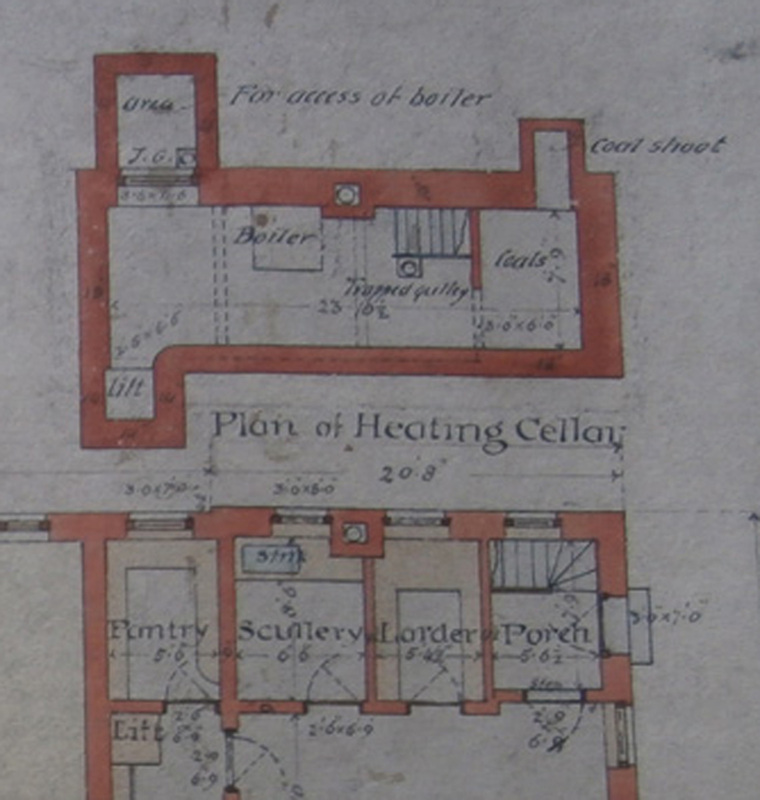 I know this whole post has been about an old cellar most people didn’t even know existed, but it’s been personally very satisfying to have been able to use Oliver & Leeson’s plans to ‘bring-back-to-life’ the room that once powered the original Victorian building. And I couldn’t have done this without the help of Giuseppe, who at the time remained shyly adamant he’d rather not be photographed. 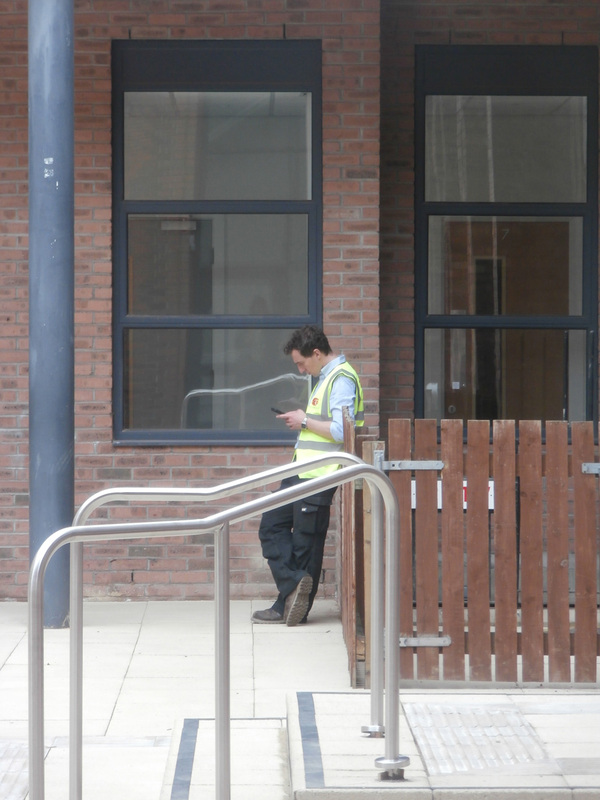 However, once we had moved back into the building and he was a constant presence around school compiling a snagging list on his phone, I did finally manage to catch him unawares taking a quiet moment in the courtyard on the 6th September. The wooden fence he is leaning against is actually sectioning off the basement entrance. Giuseppe Ferrara (hero), without whom this blog would have been a very different beast, taking a moment by the basement entrance. I began this post with stairs I was all-too-familiar with, so let’s end with another set I will probably never get to use. Only the people who took care of the building ever got to see Church High this way.